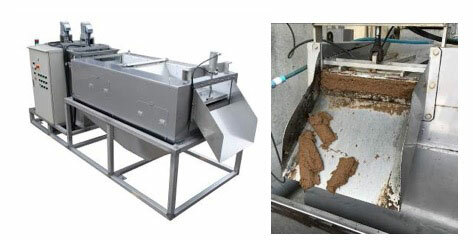 A compact and cost-efficient alternative to conventional sludge dewatering technologies is being introduced to Australia to eliminate costs and OH&S hazards associated with damper and heavier output from municipal wastewater treatment plants. The KDS Multidisc Roller system from CST Wastewater Solutions – which requires no washwater, while capturing 90-99 per cent of solids – is engineered to overcome the limitations of technologies such as screw presses, belt presses and centrifuges typically employed in small-to-medium applications. Used for thickening of dissolved air flotation sludge – a very common application throughout waste water operations – it achieves solids capture of 97 per cent thickened sludge at a dryness of 17 per cent. Waste activated sludge dryness levels are typically 15-18 per cent dryness. This lighter, dryer waste it produces reduces the need for manual labour in cleaning and transport operations and curtails the need for council staff to handle sloppy heavy waste potentially hazardous to health. The largest KDS unit can handle about 100kg DS (dry solids) an hour at 98 per cent solids capture, to produce this more hygienic and more compact output that is easier and more hygienic to handle and transport, says CST Wastewater Solutions Managing Director Mr Michael Bambrige. “With the KDS’ minimal water, power and space demands, it is ideally suited to both smaller-to-medium councils and to those operating in remote or environmentally sensitive situations,” said Mr Bambridge. 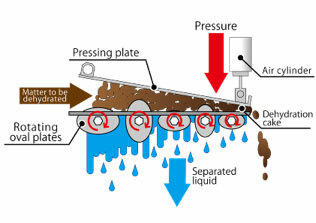 The clog-free automatic liquid-to-solid waste separator dewaters conditioned sludge on a self-cleaning wedgewire belt. This static belt is cleaned by a unique set of rotating oval shape plates. After the drainage and thickening zone, the thickened sludge passes a dewatering zone which consists of an adjustable plate, actuated manually or by pneumatic cylinder. The KDS’ unique self-cleaning dewatering and conveying system features an oval plate separation and transfer structure that prevents clogging and permits automatic continuous operation that handles oily and fibrous material with ease. “This simple-to-maintain separator offers a high throughput within a small body, with the smallest model being just under 350mm wide and weighing 50 kg. The compact rotational oval plate structure achieves high transportation and separation efficiencies, while the simplicity of the machine’s overall structure offers low maintenance, achieving cost and OH&S benefits through less handling being required to clear hazardous materials. “The KDS separator uses a fraction of the power of a centrifuge and requires no water usage during operation, unlike a belt press or a screw press. For a relatively low investment cost, it also offers a high performance alternative to sludge drying beds and geobags, for example,” says Mr Bambridge.